One of the interesting things about my sabbatical time was that for the first time in over 20 years I was not “bound” to a worship community. I didn’t have a place that was expected to worship. This is a unique place to be for a Pastor. Normally on Sundays I know where I am going to be except for perhaps during the four Sunday’s I have for vacation. It was interesting because I think it gave me a glimpse into the mindset of the unchurched or at least those seeking a new church. For the first time in a very long time I had the option of where to attend worship or even the scandalous choice of not attending worship. I was in a place where I could “shop” for churches. It was interesting trying to decide where to go. I had to consider things like, distance, service times and style. Even as I considered these concerns I realized that there was something that beat our all, a pre-existing connection. The churches I chose to attend I either knew the pastors or had worked with the congregation in another capacity in the presbytery. This got me thinking about the often-reported studies that tell us that people often attend worship for the first time because they are invited or given the recommendation by a friend. 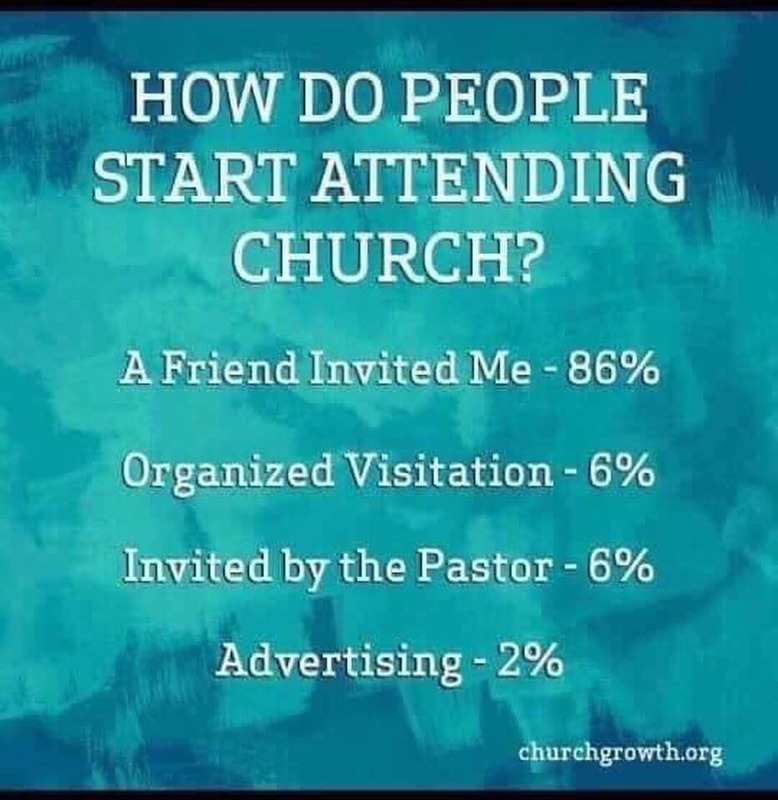 One such study reports that when asked why they began attending a church, 86% of the people cited an invitation from a friend. That is compared to 6% who started attending because the Pastor invited them. As one friend said on Facebook, that means congregation members have 80% more power than pastors. 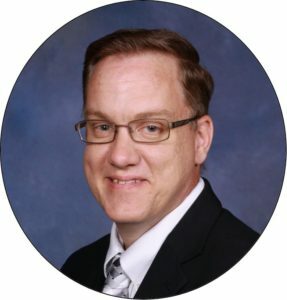 A secondary way people start attending is by having other connections to the congregation. Things like a Scout group, recovery group, or perhaps a preschool is the point of connection. These connections build a sense of relationship that cannot be denied. I attended a few churches because I had done work with them through the Transformation Team of the Presbytery. I had a sense of knowledge of the people before I even showed up. This is true for all of those groups that use our building for various community activities. Too often we underestimate the power of those relationships being the primary entry point and worship being the secondary. More and more we are learning that for many younger people, worship is the last place of connection not the first as it has been for previous generations. I share these thoughts with you for a few reasons. One is that it is important for our members to consider invitations. Personal invitation is the most powerful way to grow not only the numerical but also the spiritual health of our congregation. We also need to remember that worship isn’t the only activity to invite people into. Bible study, men’s and woman’s ministry groups, OWLS and all of the activities beyond our worship service times are a great opportunity to invite those around you. In fact, often those non-worship service gatherings are more effective because they tend to be less pressure and smaller. Secondly, I believe that we would do ourselves a great service is we recognize the ministry that happens outside of our “church” activities. The hospitality we show community groups is ministry. Finally, I hope that each of us can appreciate the vital ministry of our preschool. I know by now you are probably sick of hearing me talk about our preschool ministry. Yet, I know that it is not only one of the greatest gifts to our community but is also the greatest opportunity to impact the lives of our neighbors. Caring, competent and affordable early childhood education/care is one of our areas greatest needs. We provide this as a ministry and I hope that the preschool families know that our whole congregation cares and prays for them. The more we can be thankful for this and the more we seek to connect with it the better it is for church and family alike. Who might you invite to attend worship or another activity?